Honda is set to reintroduce the Civic after a hiatus of over half a decade. 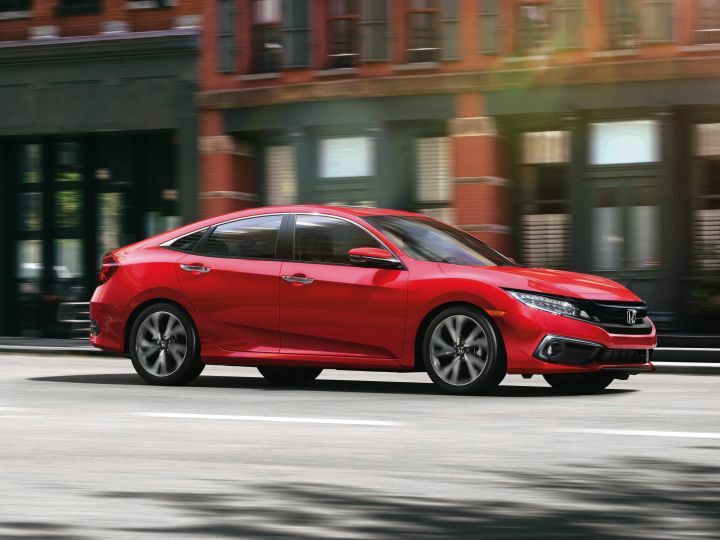 Unofficial bookings for the upcoming Honda Civic have commenced. The sedan can be booked for a refundable amount of Rs 51,000. Will be offered with both petrol and diesel engine options. Honda’s upcoming premium sedan, the 2019 Civic, was spied on the streets of Bengaluru recently. Now, ZigWheels can confirm that interested customers can book the upcoming Civic at their nearest Honda dealerships. Honda dealerships in Delhi-NCR are accepting bookings for the new Civic for a refundable amount of Rs 51,000. Honda first showcased the new Civic at the 2018 Auto Expo and the car has created quite a buzz ever since. And with good reason. Now in its tenth generation worldwide, the Honda Civic looks like something straight out of an anime series. The all-LED wraparound headlamps flank the prominent front grille. The muscular bonnet droops towards the front like that of a sports car and the sloping coupe roofline finishes off the sporty form, while the angular tail lamps wrap up the anime-esque design. Oh, and it even gets a boot lid spoiler to add to the sporty appeal. The sedan received a mild facelift last year and was first showcased in the US wearing 18-inch alloys. The India-spec version, however, will make do with 17-inch units at best. And we hope to God Honda is miserly with the chrome bits. As for the powertrains, the Honda Civic will come with both petrol and diesel engines. The diesel motor will be the same 1.6-litre i-DTEC engine that powers the current-gen Honda CR-V. It’s likely to be offered in the same 120PS/300Nm state of tune as well. The petrol engine, on the other hand, is expected to be a 1.8-litre i-VTEC, 4-cylinder engine. While the petrol motor is expected to be offered with a choice of a 6-speed manual and a CVT gearbox, the diesel engine will likely be offered with a 6-speed manual only.